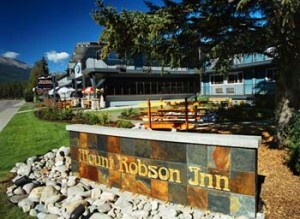 The family owned and operated Mount Robson Inn will make you feel right at home. 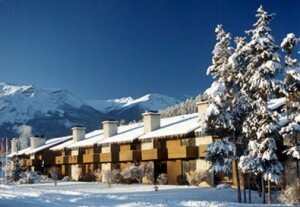 JASPER, Alberta – On my recent trip to the beautiful town of Jasper in Alberta, I had the chance to stay at some of the finest accommodations in the Canadian Rockies. Both the Mount Robson Inn and the Best Western Jasper offer their guests some outstanding services and really comfy beds. After spending most nights in my mountain cabin, spending the night in a real bed was a such a great treat! My first stop was the Mount Robson Inn where I basked in the friendly atmosphere and checked into one of the comfortable guest rooms. Their beds were huge and showering with piping hot running water, what a dream! General Manager, Chad Gulevich, says that at Mount Robson Inn, they pride themselves on being “family owned an operated with current and updated rooms.” This cozy Jasper inn is run “very hands-on,” providing a pleasant stay for all guests. Cozy up to a roaring fireplace at the Best Western Jasper Inn. The Best Western Jasper Inn was a great place to bring my best buddy, Spike, since they are pet friendly! The two of us cooked popped some popcorn in our kitchenette after stuffing ourselves at the on-site restaurant. General Manager, Shawnee Wilson, enthusiastically affirms that “The Best Western Jasper Inn is the only hotel in Jasper equipped with over 90 kitchen and fireplace suites.” It sure would be nice to cozy up to one of those fireplaces after spending a day skiing at Marmot Basin. I sure did enjoy my mini-vacation from the hard bunk of my cabin. I highly recommend both of these Jasper locations for laying down your weary head after a day of Canadian Rocky adventure.